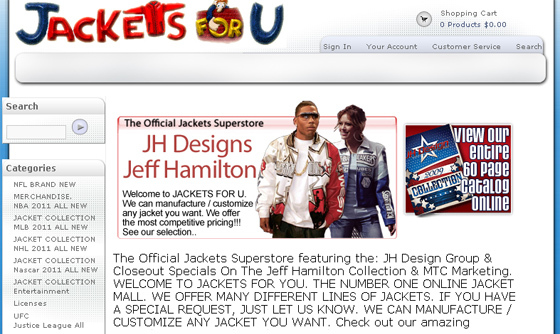 Jackets For You is the official Jackets Superstore featuring JH Designs & The Jeff Hamilton Collection. 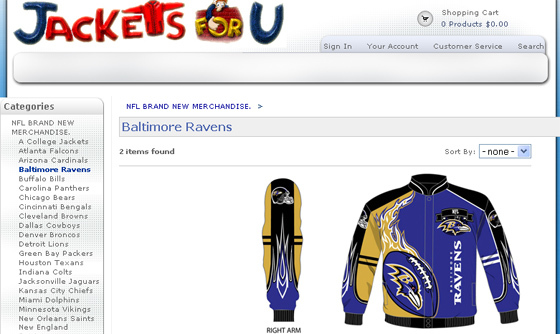 Offerings thousands of jackets licensed by NHL, NFL, NBA, NASCAR and more. 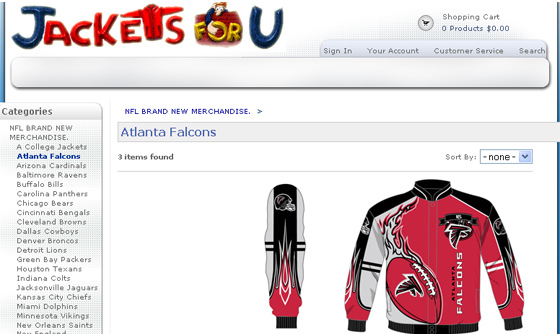 Customizing jackets is their expertise, quality is their game. IBCnet was hired to provide a complete ecommerce solution to streamline the order fulfillment, make business more effective hence increase return on investment. 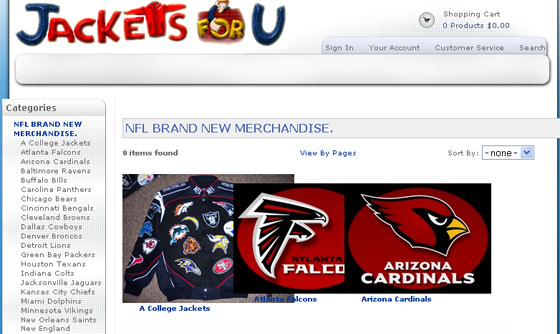 ASP.net, VB.net, MSSQL 2005, jQuery, Ajax, CSS, HTML, and Java.